NYC based Singer-Songwriter born and raised in Chicago. Most singer-songwriters work within their genres. John Splithoff works across them, and the result is a soulful, eclectic style—think the soulful timbre of John Legend mixed with the songwriting chops of John Mayer and Mayer Hawthorne.John’s diverse sensibilities are true to the spirit of his native Chicago, where he fronted a series of bands, studied music theory and earned accolades in fields ranging from jazz to classical to pop. As an undergrad at the University of Miami, he went on to develop his craft as a songwriter, playing all around South Florida, sharing the stage with the likes of Ben Folds, CeeLo Green, Bobby McFerrin, Take 6, Jon Secada, Patti Austin, Gloria Estefan, Dave Grusin, Clarence Clemons, and George Benson. Much of John’s versatility is attributable to his four-octave voice, and then there’s his breadth of instrumental proficiency, which routinely finds him on both guitar and piano during the course of a show. Combine these talents with a natural flair for the dramatic—in addition to his musical work, he’s also pursuing an acting career in New York City—and you have the makings of a can’t-miss, must-see performer. 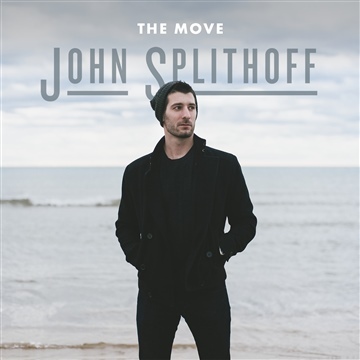 John released his debut EP “The Move” on November 22nd, 2013.